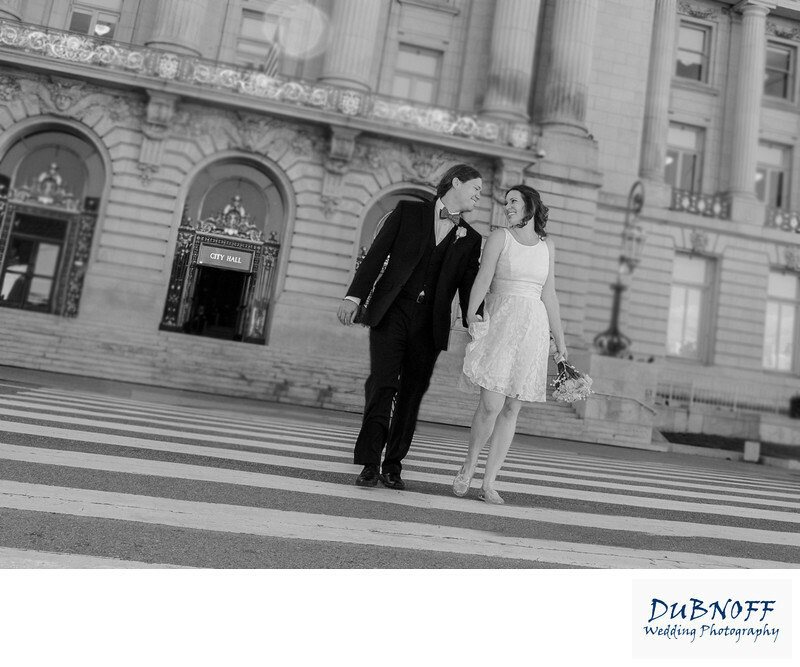 We always strive to make our couples look as natural as possible in their wedding photos. We do pose them, but you don't want to over do it. Asking the couple to walk and just look at each other makes for a more candid looking photo. Having them do it while walking across the street is even better. This wedding dates back to 2012 and we had a great time with this couple. In fact, they have referred 2 additional city hall weddings in that time. They came all the way to San Francisco just to get married. I love this photo of them because it truly captures their personalities and that's what good wedding photography is all about.